Champa no longer exists on the map of the world and the Cham kingdom and civilization are today virtually unknown in the Malay world. However, contacts were established between Champa and the Malay Peninsula as well as the Malay Archipelago. In this paper, we will gather scattered materials in Malay literature related to the language, literature, and history of Champa. Archeological vestiges, local epigraphy and foreign documents contain evidence of the great past of Champa. It was discovered, in Champa, no less than 206 inscriptions, 98 of which were in Cham, 43 in Sanskrit, 29 in both languages and 36 in scripts which are not decipherable. The oldest of these inscriptions, discovered in Kauthara (Nha-Trang), was in Sanskrit and dated AD 192. We know that the oldest transcription in Cham can be traced back to the 4th century and considered the most ancient transcription in an Austroasian language known to us. Hamzah, a native of Fan Sur Was born in the country of Shahr Nawi. Like wood which was reduced to ashes Hamzah was poor and naked. Other tales deserve our attention. The Minangkabou historical traditions in West Sumatra related, for instance, the deeds of four eminent personalities of the Luhak Tanah Datar District, one of whom,Tuan Gadang de Batipuh, became a military chief under the name of Harimau Campa (Tiger of Champa) of Koto Pilihan. Finally, the Hikayat Hasanudin (History of Banten) contains two references to Champa, one of which is particularly interesting because it evokes the famous history of a Cham woman who was married to the king of Majapahit and, consequently, the role of Champa in the Islamization of Java.30 Many would like to see a pure legend in this story of a Cham woman; it would be wrong to dispose of it a priori for it has been now established that Islam has been disseminated in the Malay world even before the coming of the Muslims from the West. As has been easily seen, the written and oral traditions related to Champa are numerous in the Malay world. Some are unmistakingly reflections of historical events. It is, therefore, particularly desirable that other legends and local traditions be the subject of systematic researches. Champa and the Malay world established intense and diverse relations since the ancient times and Malay literature has provided plenty of evidence for these relations. 1. Lafont 1981, pp. 71–74. 2. Coedès 1964, p. 96; Coedès 1961, p. 35. The text of this inscription and an English translation are to be found in Morrison 1975. 3. Abdhul Rahman Al-Ahmadi 1966, p. 6. 5. Po Dharma 1981 a, pp. 199–200; Po Dharma 1982, pp 46– 47. 7. Lafont 1977; Po Dharma 1981 b; Inventaire, Po Dharma 1981a and 1982. 8. Lombard 1981, pp. 287–288; Damais 1970, pp. 192–193. 10. Ras 1968, pp. 292–416. 11. Mattulada 1971, p. 1; 1983, pp. 214, 215. 13. Skinner 1963, pp. 146–147. 14. According to Abdullah Nakula 1963, Bal is also known as Bal Angwet. Durand 1907 mentions the existence in Champa of a Basl Batthinon dynasty between 1433 and 1570. 15. Shellabear 1956, p. 64. 16. Maspéro 1928, p. 121. 17. Coedès 1964, p. 283; Coedès 1981, p. 48. 18. Addullah Nakula, quoting Majumdar, 1927, advanced the theory that Princess Tapasi came from Javadvipa to the Malay peninsula and not to Java. Other historians, however, basing on the Po Sah inscription, believe that Javadvipa is the island of Java. Princess Tapasi would be a sister of Kartanegara, the king of Singarasi and this marriage signaled a political alliance sealing the coalition between Champa and East Java against Kublai Khan. As for the second marriage of Jaya Simhavarman II with a Vietnamese princess, it was probably also a political alliance destined to earn [¬i-ViŸt’s military aid against Siam. 19. Coedès 1964, pp. 392–393, 413–414; Coedès 1981, pp. 56– 57. 20 Shellabear 1956, p. 138; Marrison 1951. The name of the second son should be written Pau Liang. In comparison with other Jani words such as Siau, Tiang or Siang, the name should be transcribed as Pau Liang. The name Liang is found in one of the names of King Harijitanaja (1307–1312), namely Pulyang Uddharta Simharwarman; Abdullah Nakula (no date) p. 134. It was perhaps the attack of Vijaya that was alluded to in the Malay poem Syan Sri Banin Selindang Delima. 21. Shellabear, 1986, pp. 227. 22. 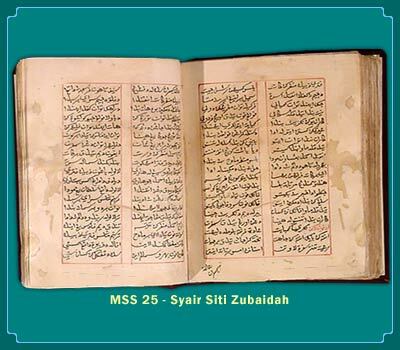 Syair Siti Zubaidah Perang Cina, especially the edition by Abdul Mutalib Abdul Ghani, p. xxxiii. According to Abdullah Nakula, Zainal Abidin was also known as Che Bong Nga in a tale (tradition) of Kelantan. See also Coedès 1964 pp. 427–428; Coedès 1981, pp. 58–59. 23. Hikayat Tang Tuah, pp.415 sq. ; Coedès 1964, pp. 227– 231; Coedès 1981, pp. 43–45. 24. Shellabear 1956, Chap. X; Maspéro 1928, pp. 24–25, 146. Claeys 1931. 25. According to folktales collected in Kelantan, Syaikh Ismail Aceh, Wan Ismail and Po Rome or Po Ibrahim (1637–1687) died together in the battle against the Yuwun (Vietnamese) in Phan Rang. Syaikh Ismail of Aceh had become governor of Sri Banoi, succeeding to Wan Ismail of Pattani who had become too old. Moreover, a book published by USIS in 1958 mentioned that an Aceh king sent a theologian to Shahr Nawai to propagate Islam. About Hamzah Fansuri, see Al-Attas 1970, pp. 10–11. The original of the verses quoted in this paper was as follows: Hamizah nin asalyna Fansur Menduja wujud ditanah fayhr Navl Hamzah syahr Nawi terlahu hapua Seperti kayu sekalian hanga Hamzah miskin orang uryani Serperti Ismail mejadi qurbani. 26. Mahmood b. Ismail 1933. Mohd b, hj. Nij Mod Saleh 1964; Mohamed Sallen, 1940. 27. Personal communication of M. Nik Abdul Rahman b. Nik Din Kelantan, Kuala Lumpur, Sept. 15, 1982. 28. Abdul Rahman Al-Ahmadi 1978. 29. Arena Wati 1973, pp. 35–40. 30. Edel 1938, p. 64: Lombard 1981, p. 289. This entry was posted in Literature & the Arts [Văn học và Nghệ thuật] and tagged the Malay World, văn chương. Bookmark the permalink.